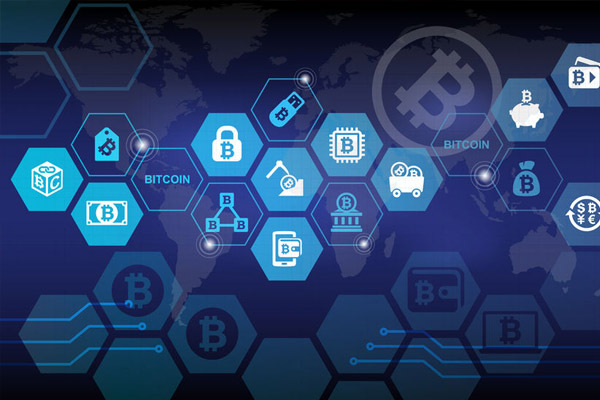 The offer for sale of digital tokens, also known as initial coin offerings (“ICOs“), has been a popular means for blockchain companies and technology companies to access capital by, basically, crowdfunding. 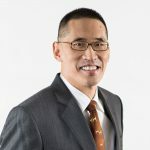 On 30 November 2018, the Monetary Authority of Singapore (“MAS“) released an updated version of “A Guide to Digital Token Offerings” (the “Guide“). Following MAS’ clarification on 1 August 2017 and the Guide, token issuers should be fully cognisant of the Guide and must comply with MAS regulations and applicable laws if the digital tokens offered by token issuers constitute securities and/or capital markets products under the Securities and Futures Act (Cap. 289) (“SFA“). Each token issuer should therefore obtain independent legal advice from Singapore-qualified lawyers and a legal opinion on (amongst other things) whether their tokens constitute “securities” and/or “capital markets products” under the SFA. If the tokens planned to be issued by a token issuer constitute “securities” or “capital markets products”, such tokens will be considered “securities” under Singapore law and the offer for sale of securities tokens is referred to as an “STO” or a securities token offering. a unit in a collective investment scheme (“CIS“), where it represents a right or interest in a CIS, or an option to acquire a right or interest in a CIS. An STO planned to be conducted in Singapore would be subject to the same regulatory regime as an offer of securities and/or capital markets products, including prospectus filing requirements under the SFA (“Prospectus Requirements“). We note that as of 14 January 2019, there are no recognised or approved cryptocurrency exchanges, asset tokenization platforms or STO platforms in Singapore (collectively, “STO Platforms“). However, there may be an emergence of STO Platforms in Singapore in the near future. Authors and contributors: Mr Quek Li Fei, Mr Mike Chiam, Mr Adrian Toh and Mr Samuel Ling. For further information on the above, please contact our Blockchain, Cryptocurrency and ICOs practice group. “accredited investor” – Under section 4A of the SFA, “accredited investor” refers to, inter alia, (i) an individual whose net personal assets exceed in value S$2 million (or its equivalent in a foreign currency) or such other amount as the MAS may prescribe, whose financial assets (net of any related liabilities) exceed in value S$1 million (or its equivalent in a foreign currency) or such other amount as the Authority may prescribe (where “financial asset” means a deposit as defined in section 4B of the banking act, an investment product as defined in section 2(1) of the Financial Advisers Act, Chapter 110, or any other asset as may be prescribed by regulations made under section 341 of the SFA), or whose income in the preceding 12 months is not less than S$300,000 (or its equivalent in a foreign currency); (ii) a corporation with net assets exceeding S$10 million in value (or its equivalent in a foreign currency) or such other amount as the MAS may prescribe, as determined by the most recent audited balance-sheet of the corporation; or where the corporation is not required to prepare audited accounts regularly, a balance-sheet of the corporation certified by the corporation as giving as true and fair view of the state of affairs of the corporation as of the date of the balance-sheet, which date shall be within the preceding 12 months; (iii) the trustee of such trust as the Authority may prescribe, when acting in that capacity; or (iv) such other person as the Authority may prescribe. “institutional investor” – Under section 4A of the SFA, “institutional investor” refers to, inter alia, (i) the Government, central bank, or statutory body established under any Singapore act; (ii) a bank that is licensed under the Banking Act, Chapter 19; (iii) a merchant bank that is approved as a financial institution under section 28 of the Monetary Authority of Singapore Act, Chapter 186; (iv) a finance company that is licensed under the Finance Companies Act, Chapter 108; (v) a company or co-operative society that is licensed under the Insurance Act, Chapter 142, to carry on insurance business in Singapore; (vi) a company licensed under the Trust Companies Act, Chapter 336; (vii) a pension fund or CIS; (viii) the holder of a capital markets services license; (ix) a person (other than an individual) who carries on the business of dealing in bonds with accredited investors or expert investors; (x) the trustee of such trust as the MAS may prescribe, when acting in that capacity; or (xi) such other person as the MAS may prescribe.